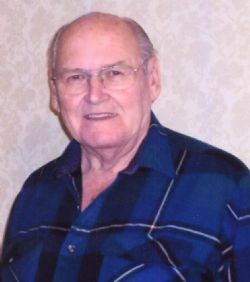 Mr. Dean Brown, 83, of Franklin, Arkansas, passed away Friday, February 8, 2019, at NEA Baptist Memorial Hospital in Jonesboro. He was born February 11, 1935 to Garland and Ethel Brown in Peace Valley, Arkansas. Mr. Brown was a member of Franklin Baptist Church and prior to retirement was a heavy equipment operator. He enjoyed singing, short drives through the county, yard sales, dancing, music, tinkering with equipment and loved visiting with his grandchildren. Preceding him in death are his parents and two brothers, Dale and Donald Brown. Survivors include his wife, Wyettia Brown; son, Ronnie (Jocelyn) Peterson; grandchildren, Elyssa, Katy and Hannah Peterson, Kerry Miller, Kristin Miller; great grandchildren, Cathrine Bernard, Norrin Johns; many nieces, nephews, extended family members and his church family. Funeral services will be Wednesday, February 13, 2019 at Franklin Baptist Church, Franklin, AR. at 12 noon, with Bro. Jeff Hawkins officiating. Honored to serve as pallbearers are John Ward, Jason Fountain, J.R. Hightower, Robert Reeves, David Debow and Don Self. Burial follows at Violet Hill Cemetery. Visitation precedes the service at the church from 11 am until time of service. Click Play below to view the Video Memorial for Dean Brown.